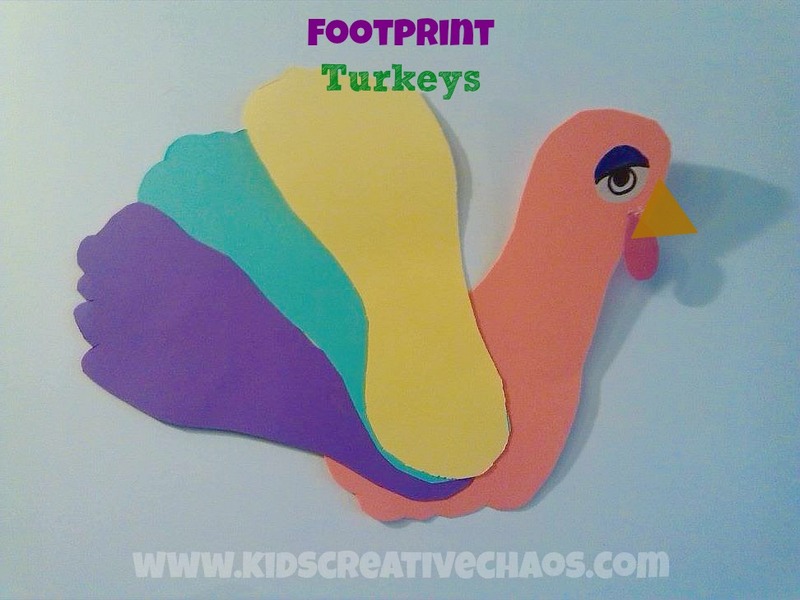 This turkey Footprint paper craft for Preschoolers is easy and fun for kids to make at home. 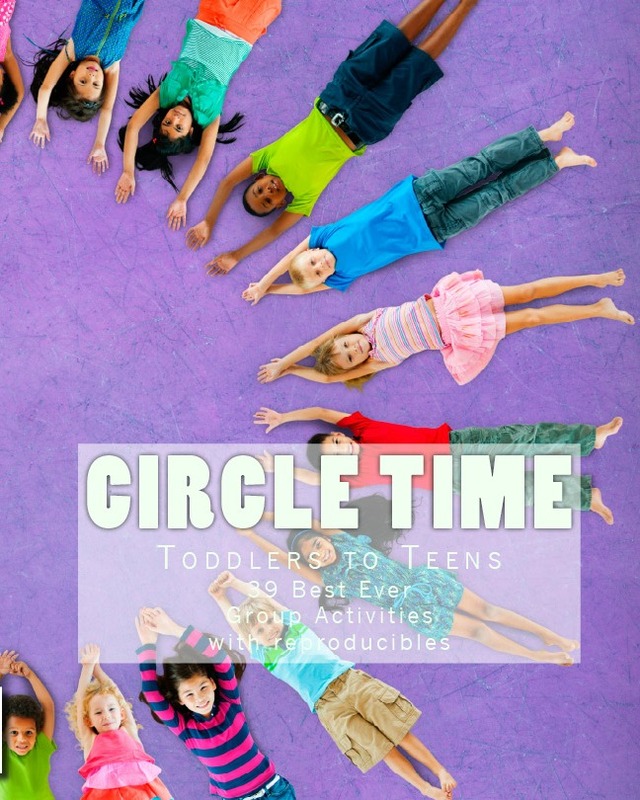 Little ones will get a kick out of tracing their feet. 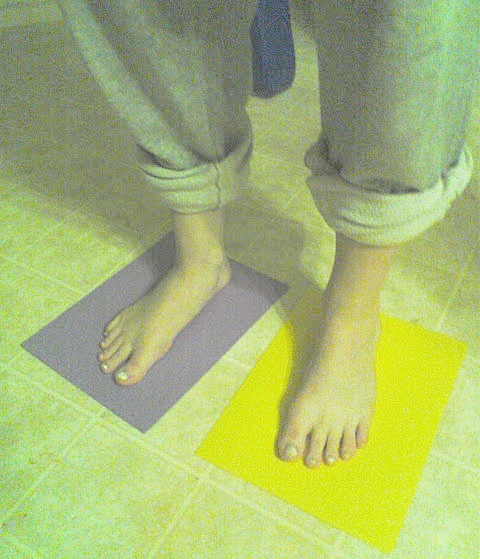 Make it a sensory activity by tracing their feet for them- it tickles! Gobble Gobble. Enjoy! Paper Footprint Art Turkey Thanksgiving. 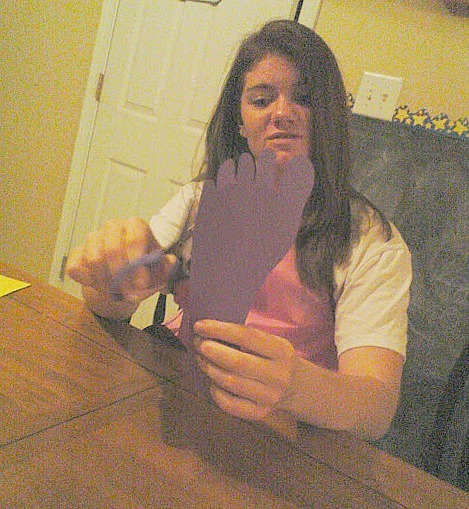 footprint becomes the turkey's body. Just attach feathers on the toes. Paper footprint turkeys with handprint neck. 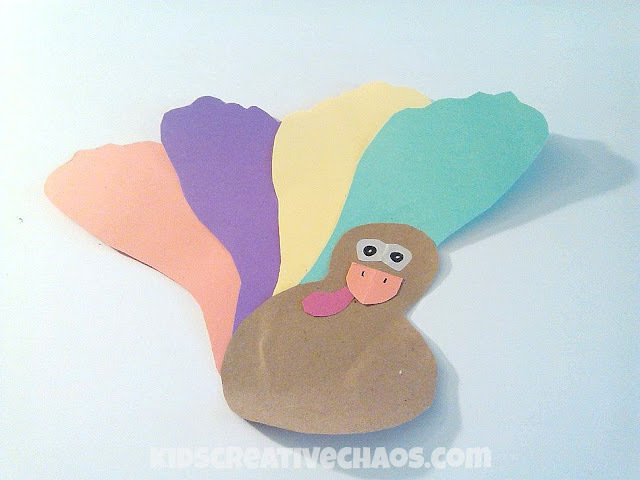 Paper Thanksgiving Turkey Footprint Craft. You can also use four or more feet for feathers, and cut a body from brown paper. Don't forget to give your turkey feet. 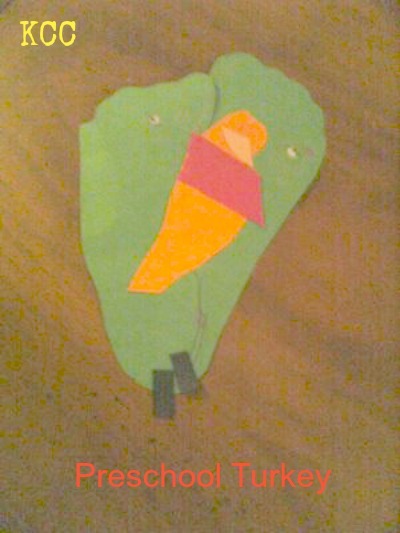 Make a Footprint Turkey for Thanksgiving. 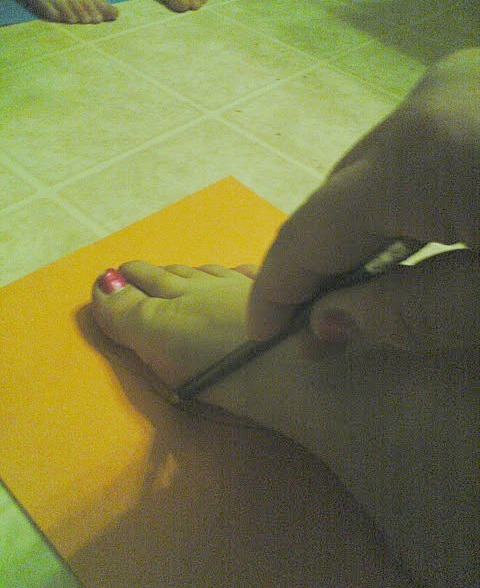 Stand on construction paper and trace your feet. 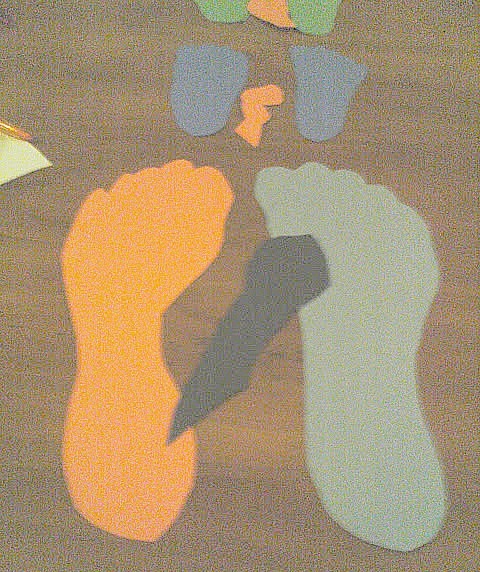 Bigger feet need two sheets, little feet only require one. Jake thought this was fun. He loved the idea of taking his shoes and socks off to do a craft project. 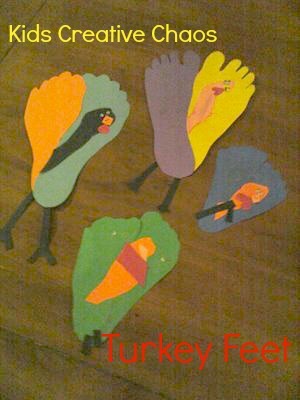 How to Make Footprint Turkey. 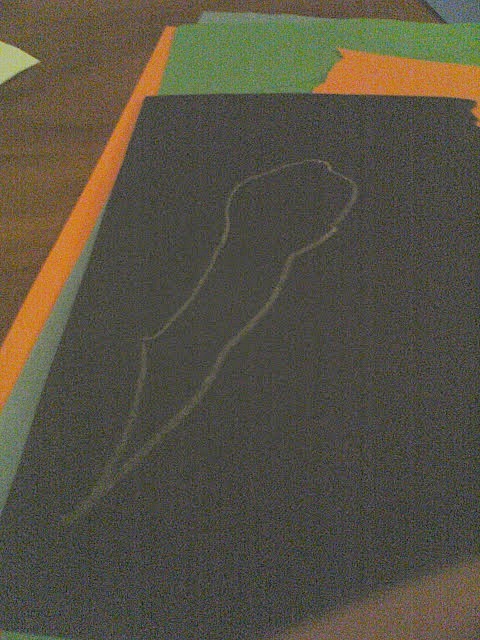 Make a fist and have someone trace it for you. Trace your fist to make the turkey body and head. Cut the fist and the feet out. 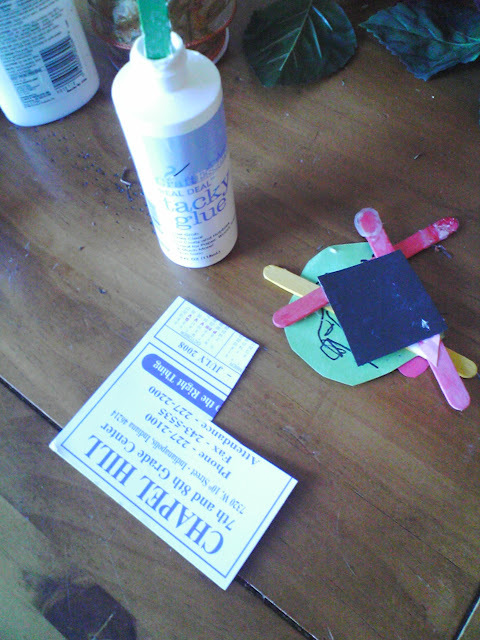 Glue the feet together in a fan shape. The more feet you trace, the fuller your turkey feathers will turn out. 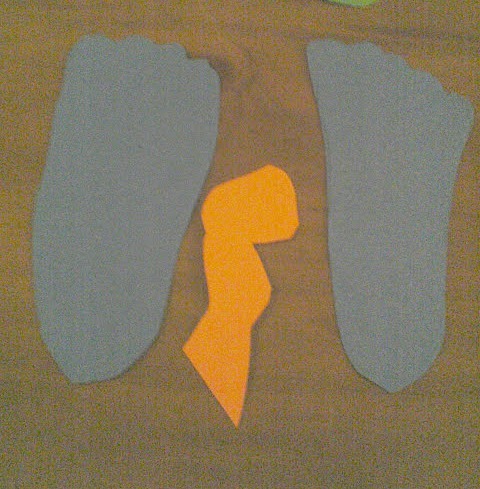 Then, glue the fist cut-out into the middle of the feet-feathers. The fist is the turkey's head and neck. Add feet, eyes, beak, and a gobbler. We added a body, because we thought he looked off balance. Additional feathers solve that problem. 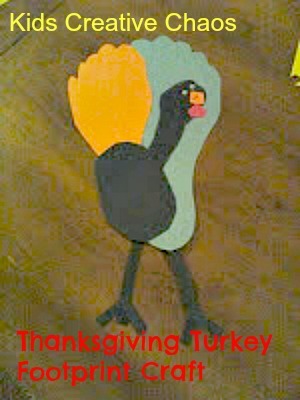 When it's all done, cut up an old fridge magnet, and glue it to the back of the turkey with tacky glue. Pictured below is the head from Amanda's Turkey Snack Cup. Like this idea? Here are some more Turkey Craft Ideas. 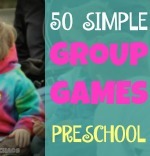 This is a great, easy activity for right before T-day! 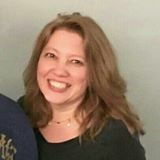 I am posting it to my facebook fan page! Thanks for the inspiration!